Lara Croft has been to some interesting places in her adventures. In 2013’s Tomb Raider, she fought for survival on a desolate island crawling with enemies, which was also home to the ancient Kingdom of Yamatai (and an angry goddess too, whom Lara fought in a climatic battle in the end). Meanwhile, in Rise of the Tomb Raider, Lara scoured the Siberian forests and caves in search of the Divine Source, an item which could grant eternal life. Right off the bat, though, you can tell the stakes are higher in Shadow of the Tomb Raider, the latest game in the franchise by Crystal Dynamics and Canadian studio Eidos Montreal, which takes Lara to Central and South America in a new Tomb Raider adventure. This is because while the Divine Source granted eternal life in 2015’s Rise of the Tomb Raider, the item Lara is hunting for here – a mystical South American item known as the Box of Chel – can bring about the end of the world. Lara soon discovers this after crash landing on Cozumel, Mexico, in the game’s introduction. A spectacular action sequence follows later on, as Lara discovers the Box’s destructive powers when the small Mexican town she’s in ends up in pieces around her. Here you have to time your jumps and avoid obstacles in order to escape, amidst collapsing structures and a rising flood of water in what is a pretty good action sequence and a fitting start for this Tomb Raider game. Earlier on, you are treated to a good stealth sequence in which Lara needs to get through a Mexican plaza without being spotted by Trinity’s soldiers. Yes, like in Rise of the Tomb Raider, Lara has to square against the ancient paramilitary organization here too. And as you can imagine, like in 2013’s Tomb Raider and the more recent Rise of the Tomb Raider, there is plenty of combat here as well. This action sequences are exciting, especially the firefights. In these, enemies try to flush you out from cover with grenades, meaning you have to move around and play aggressively if you want to survive. Lara feels overpowered at normal difficulty in the last quarter of the game though, even if the combat is still satisfying both when using bow and arrow and guns, or resorting to stealth takedowns. Increasing combat difficulty from normal to hard yields tougher, more alert foes. Actually, enemies are perhaps a bit too alert at hard difficulty and I found getting through some sections full of enemy soldiers later in the game much more challenging than at normal difficulty. Combat encounters are fun and quite challenging too, especially on the hardest difficulty level. Thankfully, you can upgrade your weapons (and craft special ammo and arrows for them too) as in the earlier Tomb Raider games. I was never at a loss of materials to craft arrows for Lara’s trusty bow, which includes fire arrows which can set your enemies alight, and other arrow types. Such is the case of one arrow type which contains a special poison which will cause enemies to attack each other, which sure is fun to use later in the game. There’s also plenty of stuff lying around in order to upgrade the bow and Lara’s other weapons, which include a gun, shotgun and assault rifle. I used bow and arrow the most, but the other weapons are satisfying to use too. The game lets you make good use of the shotgun in one exciting action sequence in which Lara is hunted by hostile natives in one dark, claustrophobia-inducing cave. Ah yes, the natives… After a second crash-landing in South America, Lara finds herself in a Peruvian shanty town. She soon ends up in Paititi, an ancient Inca city in the middle of the jungle where she gets a chance to interact with the Inca Indians while she continues her search for the mystical Box of Chel. I would have hoped for a less stereotypical representation of the Incas here, although there are a few great characters here such as the female leader of Paititi, who comes across as a strong, confident woman, and the main villain (a sombre fellow named Dominguez) who is leading Trinity’s search for the Box in Peru, and who also wants to make use of it to become leader of the Paititi tribe. Lara Croft herself is as great a character as she’s been in the latest Tomb Raider instalments, and actress Camilla Ludington motion capture and voice work help bring the character to life once more. Less interesting is Lara’s long-running sidekick Jonah (who has featured in all three games of publisher Square Enix’s new Tomb Raider trilogy), while the Peruvian locals and citizens of Paititi, who can offer you quests throughout the game, are decently realised but none really stand out. Lara Croft is back in another Tomb Raider game. Like the earlier Tomb Raider games, Shadow of the Tomb Raider is not open-world, but there are hub areas where you can chat with the locals and take quests from mission givers. These are not more involved than the simple fetch quests you find in similar games, though. For instance, one involves searching for several ancient items scattered around Paititi’s environs, while another just requires you to talk to five people all over the city in order to win back a dice for a kid who lost it to one strange fellow in the Inca city of stone. Despite their simplicity, these quests are still fun, if not particularly exciting. Thankfully, more spine-chilling action is to be found in the game’s challenge tombs, which make a return from the earlier games. Despite being optional, these tombs are a great part of the game and also require a bit of lateral thinking to solve. This involves getting to a specific point inside the tomb, at which you’ll receive a reward for your efforts. Navigating the challenge tombs presents one satisfying environmental puzzle too. For instance, in one of the tombs I had to figure out how to take advantage of wind currents and giant platforms hanging from the ceiling in order to clear a path to my destination. Another involves the use of light and mirrors and rotating platforms in order to reach the end point and obtain the reward. Aside from the satisfaction of figuring out the tombs, as stated earlier you are also rewarded for your efforts when you do so. This can take the form of special skills which are unlocked when you finish one of the tombs. You can also upgrade Lara’s skills during the course of the game as you’re awarded points to do so after levelling up. Unlockable skills include one which increases the precision of Lara’s arrows and another which reduces the damage Lara takes when falling from a height. Sadly, though, developer Crystal Dynamics decided to include all skills in a single screen, which I found less intuitive than in the earlier Rise of the Tomb Raider in which skills were divided in separate screens for each category, making it easier to pick specific skills to upgrade. 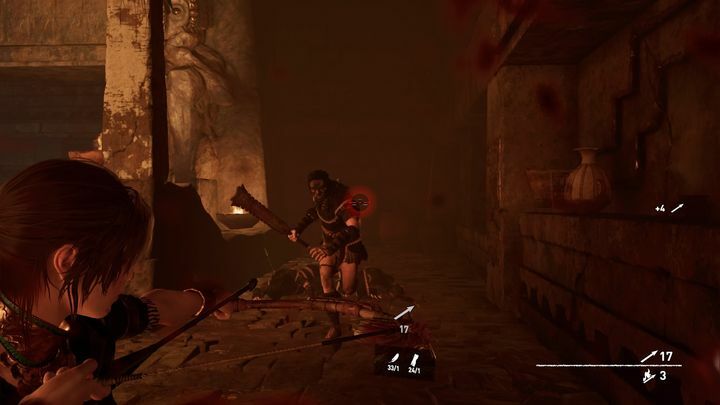 Upgrading Lara’s skills is a good thing as the game can be quite challenging at times, especially in the aforementioned optional tombs you can play through. The fact that climbing feels great in this Tomb Raider game is also a plus, and shimmying on ledges, holding onto rocky surfaces using Lara’s climbing axe and also overhang climbing are exciting here and difficult at times, meaning you have to be careful not to take the wrong step, which can be fatal. 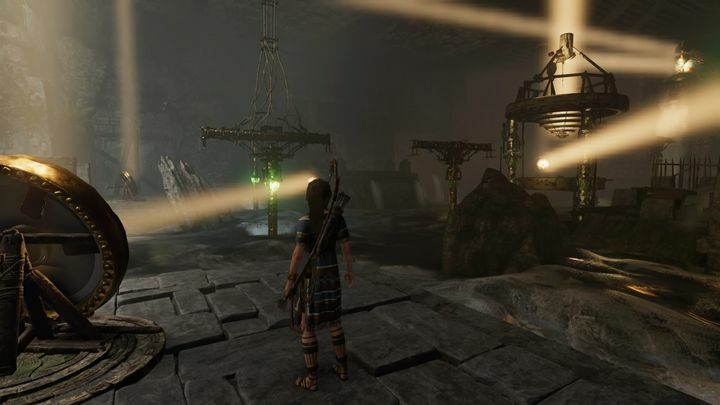 As in the earlier games, playing through the challenge tombs is one of the best parts of Shadow of the Tomb Raider. Failure means you’ll be treated to one of Tomb Raider’s death animations. From Lara falling to her death below while screaming, to being impaled on a spike after I unwittingly stepped on a trap in the floor, or her breaking a limb after taking a fall only to be devoured by wolves afterwards in the bottom of a cave, these death scenes sure are as brutal as any in the earlier games (and fun to watch too, in a macabre sort of way). However, watching these over and over again as I struggled to get through some of the game’s hardest bits certainly wasn’t fun. I also did not enjoy the way progress in the game is often gated until you’ve met certain requirements. For example, after crash landing in South America early in the game, you have to get your gear back from the plane. There is another bit later on in which you need Lara’s climbing axe in order to move on. But I found it jarring to see a text message onscreen saying I wouldn’t be able to progress past this point until I had said axe in my possession, something I found immersion breaking truth be told. 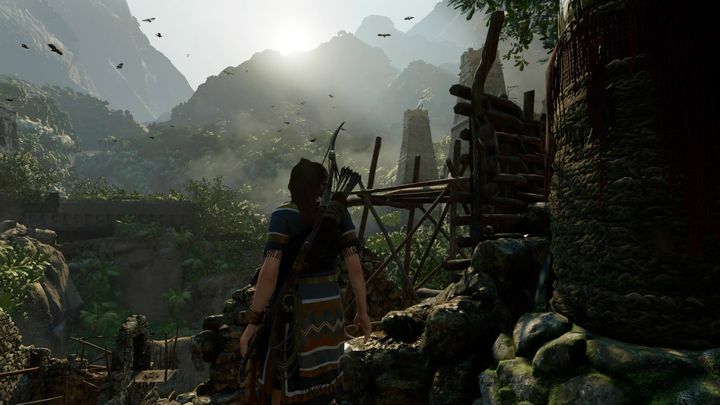 Other aspects of the game do help with immersion, such as the graphics, which are top-notch, while Shadow of the Tomb Raider does have some striking visuals too. For instance, a giant rotating machine in one of the challenge tombs is an awe-inspiring sight, and so is an underwater cave entrance in the form of a skull. Also, a creepy underground crypt Lara and her pal Jonah enter during their search for the Box of Chel is a highlight here. Cinematic sequences which tell the game’s story also look great, and such is the quality of the graphics at points that I could not tell when a cinematic had ended and the game was ready for my input once more. The music is a mixed bag, though. There are some good orchestral pieces here (but nothing memorable), and some of the drum-heavy music, especially during the final boss fight, I found so grating that I actually had to turn the music off, something I’ve rarely done in my time as a gamer thus far. Thankfully, the voice acting is pretty good with actress Camilla Ludington being great as always as Lara, and also the actor voicing her sidekick and best friend Jonah does a good job too. The rest of the cast is good, while the main villain voice actor is solid but not a standout. A military guy working for evil organization Trinity has a slightly annoying voiceover though. Great visuals help bring Shadow of the Tomb Raider’s world alive. Voice volume is a bit low in some conversations, though, which is something I noticed as I wandered through the game’s location of Paititi, talking to the locals and listening to the stories they had to tell. 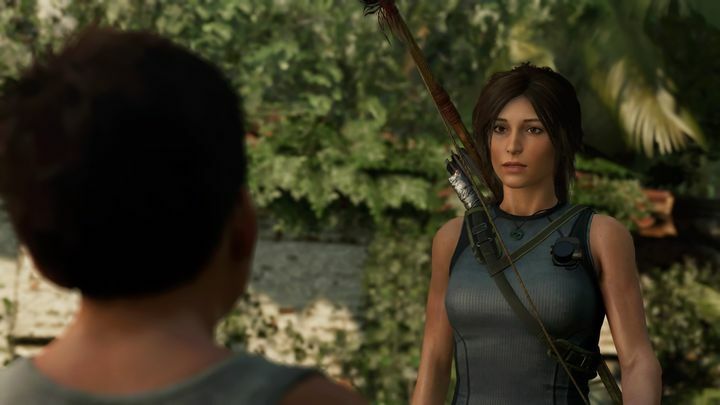 Regarding the game’s overall story, Shadow of the Tomb Raider’s plot is serviceable enough, even if it still is the typical “save the world”, hunt-for-a-mythical-artefact, Indiana Jones-style plot you have seen in video games countless times before. It does have some heartwarming moments though, and a sequence in which you control Lara as a kid while she explores Croft Manor in one of her first adventures is bound to bring a smile to your face, in part due to some of the kiddie comments the young Lara makes throughout. 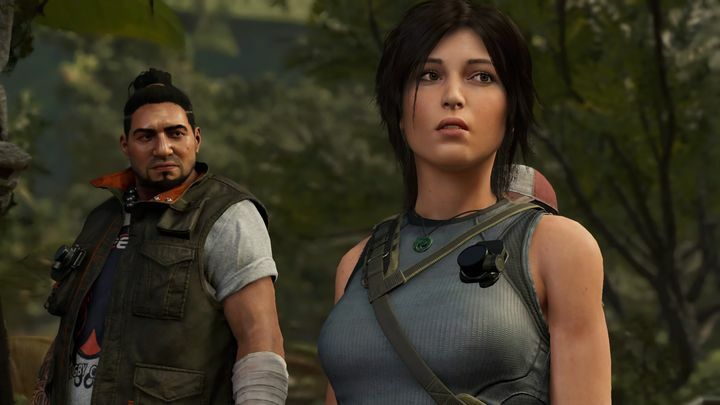 Developer Crystal Dynamics has taken cues from the great Uncharted 4 (which featured a similar sequence) and it shows. Shadow of the Tomb Raider doesn’t reach the heights of that game, though. And truth be told this is my least favourite game of the trilogy which began with the release of the Tomb Raider reboot in 2013. This is still a very good game overall, but I can’t help but think that Tomb Raider needs to find a new template if the series is to move forward in the future. Nonetheless, for the time being this is a good conclusion to this new series of Tomb Raider games, and I’m surely looking forward to enjoying more of Lara’s adventures in the future. This game was reviewed using a copy purchased for the purpose of this review.